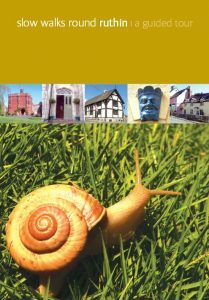 The Association has produced a booklet Slow Walks Round Ruthin which takes readers on a tour of some of the best parts of the town. 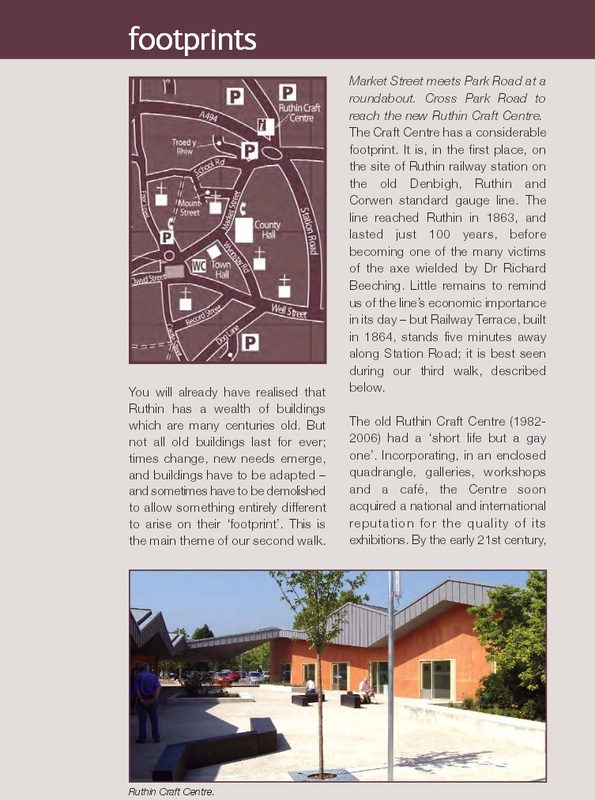 There are three different walks around the town to cater for most abilities and interests. Top of the town and around—a walk which takes you on a round trip along the two main shopping streets and a splendid hidden footpath. Finally, under Stepping Out, there are three trips outside the town to see other buildings.